I perform a large number of ACL surgeries each year, as do many sports medicine surgeons. One of the biggest challenges we face is getting athletes back to the same or higher level of sports after injury. While we have always thought that the success of these operations was excellent, some recent studies have shown us that return to sports rates might be closer to 60 to 75%. That’s good, but it’s not as high as we would like. Why might an athlete not return after ACL surgery? As surgeons, we continue to research the optimal surgical techniques and graft options. Physical therapists continue to improve the rehab process to develop the strength and sport-specific skills needed to excel on the field or court. A new study published in the American Journal of Sports Medicine suggests that other factors might play a large part in athletes struggling to return to sports. We might not look for or recognize these issues, but athletes often confront them as they recover from surgery. 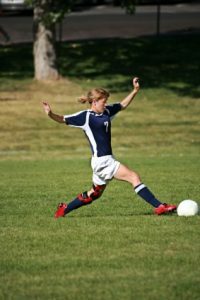 Despite being physically ready to play, fear of reinjury to the knee is common among athletes who have suffered ACL injuries. While fear of reinjury is the most common psychological barrier to return to sports, other fears exist as well. Fear of having to go through the long rehab process again, fear of not being able to play well, and even fear of the loss of income (from work or sports) can limit players. 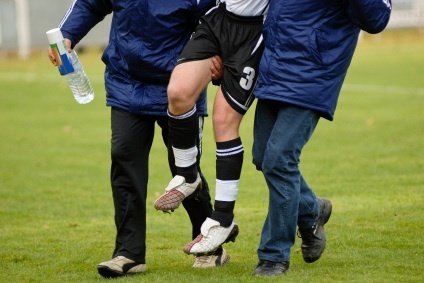 Surprisingly, fear of reinjury is common among athletes who successfully return to play too. The difference in athletes who do go back to play is the willingness to try to play despite the fear of reinjury instead of allowing the fear to cripple them and prevent them from returning altogether. Many athletes tear their ACLs at times of great personal and professional change in their lives. They might be high school seniors preparing to go to college. They might be college students graduating and starting jobs. They might be weekend warriors getting married or switching jobs. With 6 to 12 months out of sports, life can get in the way of athletes playing again. Obviously, everyone is busy, and yet a large percentage of patients return to sports. The authors found that patients who place a high priority on sports are more likely to return to the same level of play as before the injury. As you might expect, younger athletes with fewer non-sports commitments largely comprise this group. Athletes and athletic individuals who return to play after ACL surgery tend to describe themselves as self-motivators. They also tend to be competitive in nature. On the other hand, patients who do not return tend to have cautious personalities. To be fair, an injury as traumatic as an ACL tear could make someone more cautious. Everyone involved with injured athletes can use this information to help get them back to sports. This point applies to the orthopaedic surgeons who perform the surgeries, the physical therapists working with them for months in the clinics, and the athletic trainers in the training rooms and on the sidelines. Look for some of these psychological and personal issues in your athletes. Talk to them. Encourage them. Avoid pushing them too hard when you see signs the athletes are struggling. Even consider referring the athletes to specialists, like sports psychologists, if needed. Work with the athletes on more than just their knees and physical function, and maybe we can get more of them back in the game. Do these personal and psychological barriers surprise you? What can we do to better recognize them and deal with them? I would love to hear your thoughts below! Tjong VK, Murnaghan ML, Nyhof-Young JM, Ogilvie-Harris DJ. A Qualitative Investigation of the Decision to Return to Sport After Anterior Cruciate Ligament Reconstruction: To Play or Not to Play. Am J Sports Med. February 2014. 336-342.